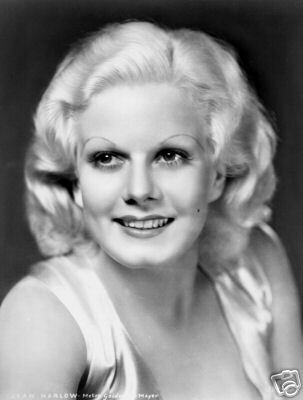 Tonight I'm thinking of Jean Harlow. Seventy years ago at this time, Hollywood's original "Blonde Bombshell" who delighted millions with films such at Red-Headed Woman and Bombshell, was painfully passing her last agonizing hours alive inside an oxygen tent in Room 826 at Good Samaritan Hospital in Los Angeles, suffering from failing kidneys and a gruesome cerebral edema - fluid build up in the skull. By 11:38 AM on June 7, 1937, she would be gone forever. Is anyone truly gone who lives in the minds and hearts of people who love them? 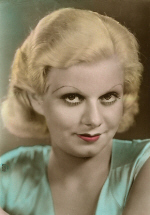 Today, Jean Harlow's presence in the world survives on films and even more importantly on the internet where thousands of adoring fans keep her memory alive by writing about her, on websites and on chat groups and via email. They are the keepers of her flame. Her following is as strong as ever, and, as her biographer David Stenn tells me, no one would be more shocked than Jean herself. Pandemonium ensued at Forest Lawn in Glendale, Calif., when her funeral was held a few days later on June 9. 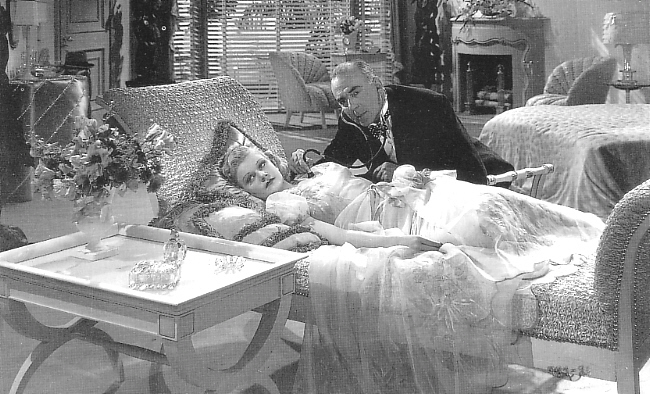 On June 12, she was sealed inside a private crypt room in the Great Mausoleum there, witnessed only by her mother and erstwhile love interest William Powell. Seventy years later, after Mother Jean (also entombed there), William Powell and those who knew her best are long gone, the crypt is a place of pilgrimage for those who continue to give a damn, despite the best efforts of Forest Lawn personnel to keep fans at bay. 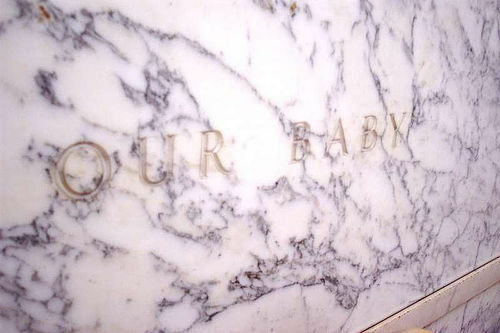 When Jean was laid to rest, under the moniker "Our Baby," would any of her loved ones have dared guess that anyone would remember or care to go out of their way to see her grave in the 21st century? I'm guessing not, because when you grieve in the present you don't think of the future. But that was 70 years ago. Today "Our Baby" takes on a whole new meaning. 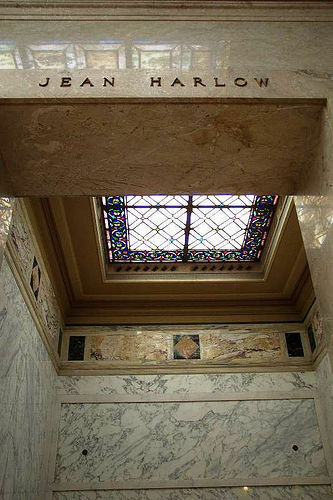 I find it ironically disgusting that over the years Forest Lawn itself has named Jean Harlow as one of its best known permanent residents, prostituting her name and likeness for publicity, and yet fans who truly care about remembering her for who she was as a person and as an actress are treated with harshness whenever they attempt to visit the crypt or dare to leave flowers in her honor. I've been kicked out of the Great Mausoleum with the best of them, being scolded and told that trespassing was disrespectful, by people who probably couldn't pick Jean out of a Turner Classic Movies line-up. They should be so lucky to have anyone remember them long after they pass on. They just don't get what cemeteries are all about, truly. How sad. I've left flowers for Jean that I know were removed by personnel within hours of my placing them in her room and was lied to about the floral whereabouts. I've been lied to about "relatives" still alive who insist that her room remain private. Baloney. There is no such relative, I assure you. Still others interested in Jean have told me they got in to see the Harlow room... by paying off the security guards. Is that respect for the dead, protecting them, or is it just insulting their memory? I will not visit Forest Lawn tomorrow to commemorate Jean's deathiversary, in part because I will be remembering her in other ways among friends, and also because I'm tired of being treated like a criminal. In that sense, Forest Lawn and its cronies "win." But Jean's star will shine bright as the years go on, while Forest Lawn perpetuates it's reputation for being two-faced and anti-memorial friendly. The photos I show here are considered contraband. I was actually warned by a Forest Lawn security guard named Joan that she "better not ever see them online." Well, here they are. They're not here to piss Joan or anyone at Forest Lawn off. I'm not making a profit off them, either, which is generally the concern of such images being displayed. 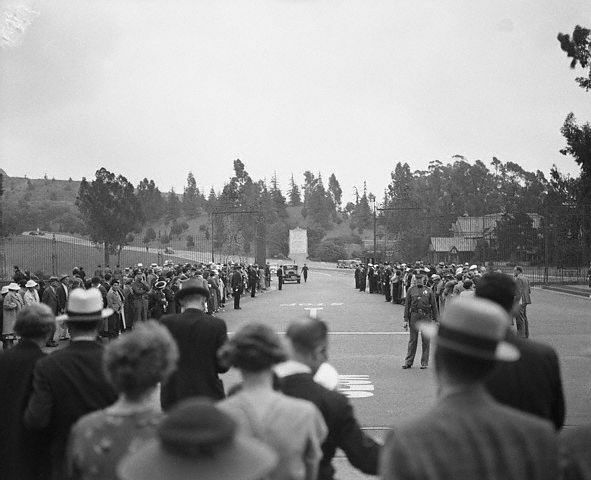 They are here so that people who care about Jean Harlow's memory can see the beautiful place she rests in for eternity, and to pay respects cyberly rather than do it in person and risk being made to feel bad that they are interested in preserving her memory and experiencing her history. Rest in peace, dear Harlean. You will never be forgotten. Leave a flower for Jean and Mother Jean (who passed 49 years ago on June 11) at Findagrave.com.